enthusiasm as it was not undertaken for the joy of touring or a carefree vacation, but little did I know that this trip will be a life changing experience. 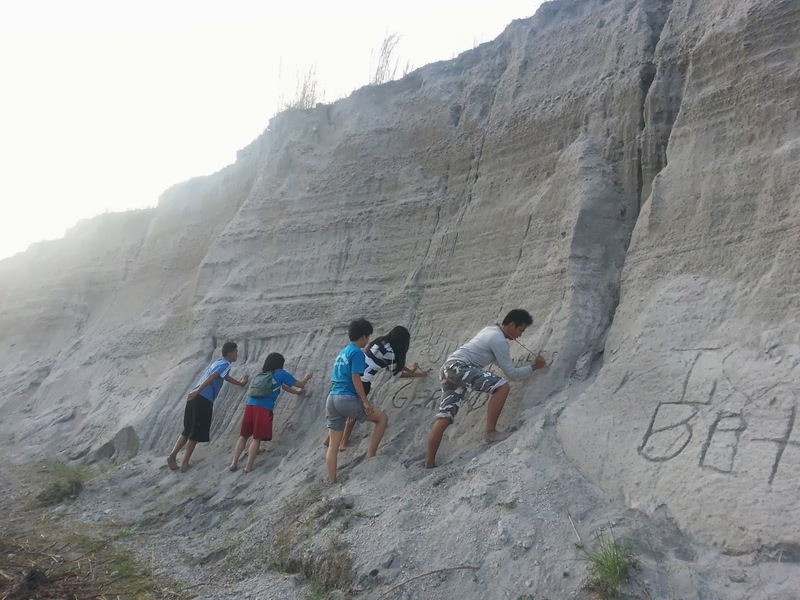 Last February 13, 2014, the senior students and the staff of Westhill International School, located in Cavite, undertook an expedition to Baquilan, Botolan, Zambales as part of the school’s community service programme. It is a requirement for senior high school to undergo service for at least 35 hours for the school year. Our destination was a resettlement area in Botolan, Zambales. A site that is populated by hundreds of Aeta families who were displaced from their native homes during the cataclysmic eruption of Mt. Pinatubo in 1991. Upon arrival, we headed straight to Baquilan Resettlement National High School to meet with the students. On our second day, our mission was to go to an area or a local community called Baytan Mountain that would take a lot of walking. At 4:30am we started our long walk. It was pitch dark and we couldn’t see anything but one thing was for sure, we were walking in a river stream and It was fun! Seeing the sunrise was a sight to behold and for most of the students this was the best sunrise ever! The sun rose to reveal an almost alien landscape. We were in awe as the sun revealed more of the strange but beautiful structures left by such huge destructive forces of nature. 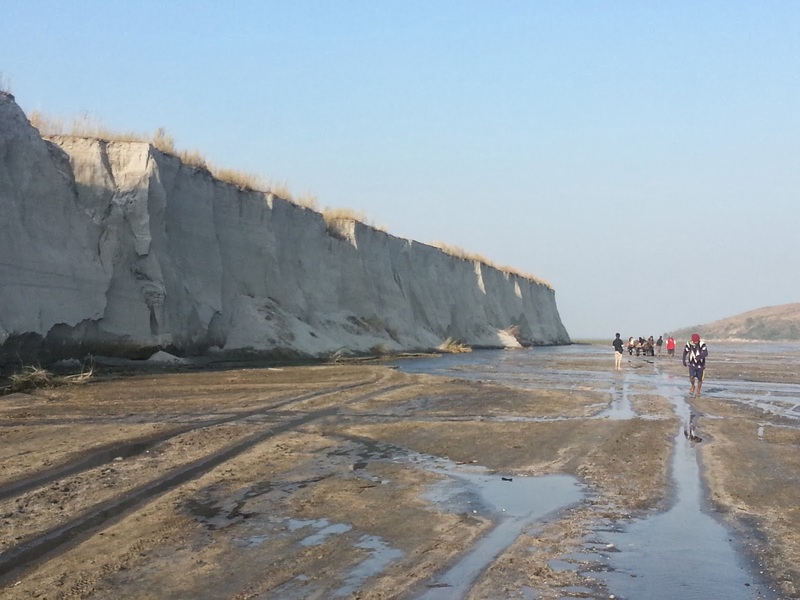 The lahar that had once flowed from the Pinatubo crater now formed the path that was leading us to our eventual destination. We also had carts pulled by Carabaos to carry all the supplies and food that we would be distributing to the community. The cart were also welcome relief for the footsore students when they became tired from walking. 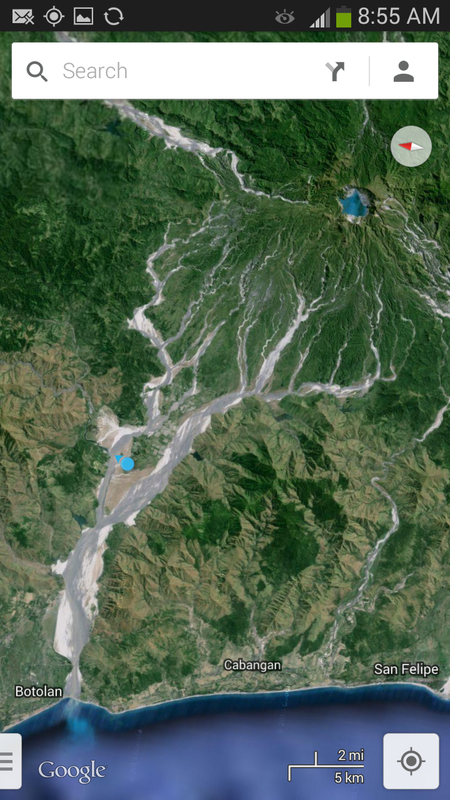 Was it possible to surf in the waters of the Pinatubo lahar? 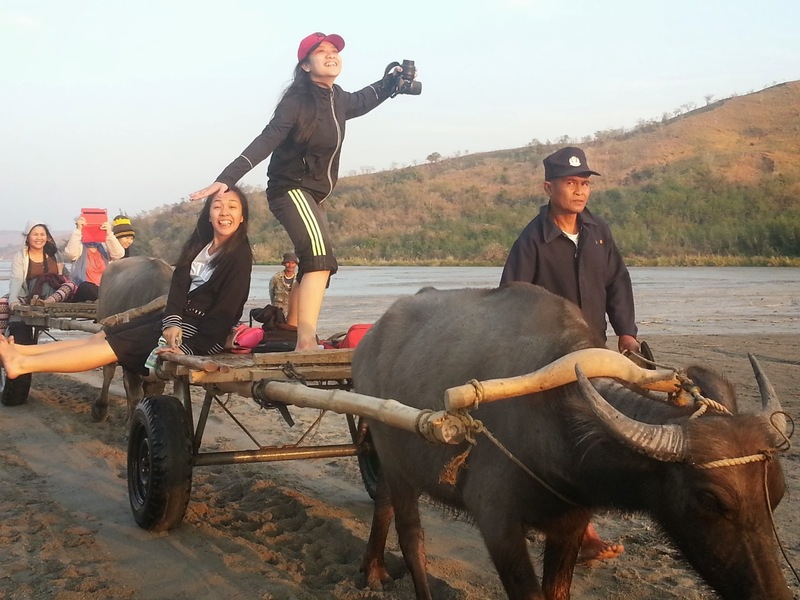 As long as you had a cart and a willing carabao! carved by decades of running water. Walking at the foot of these leviathan formations emphasised again the alien nature of our surroundings. This was a view unlike any other that could be found in the Philippines. Although, so eerily beautiful, it appeared almost impossible that anyone would be able to eke out an existence in this environment. Of course the softness of the cliff’s surface became a huge temptation for our students to record their own presence in this magical space; knowing full well that the first rains would erase their meticulous carving. 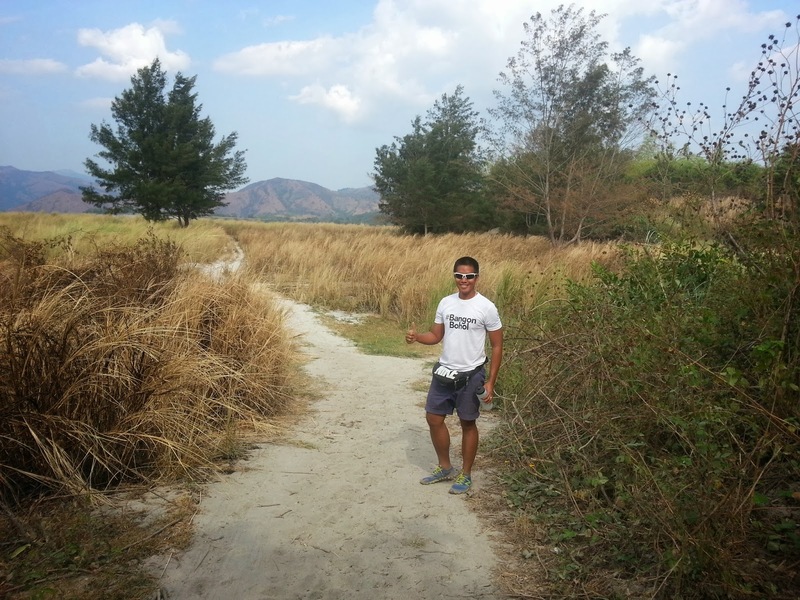 Here again the Philippines has another potential tourist attraction in Zambales. I feel that there many people who would like to come to experience this unusual adventure. 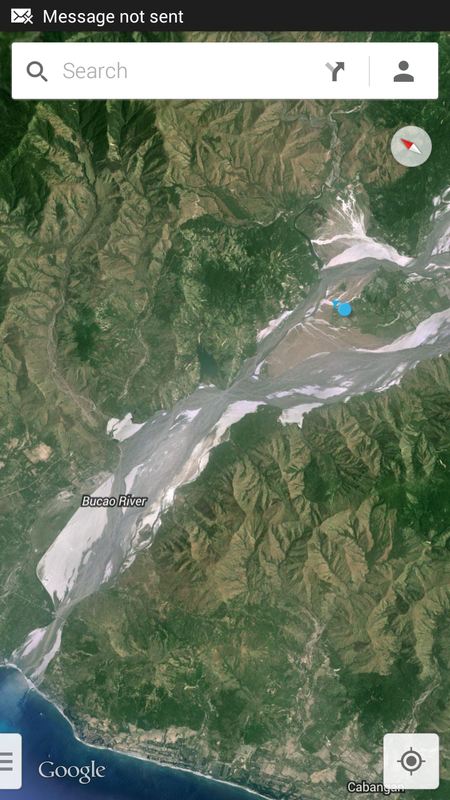 Looking at the area on Google map, the proximity of the crater of Mt. Pinatubo becomes clear. We finally arrived at our Baytan Mountain and immediately welcomed by the community. After some performances, we distributed goods to the locals. You could feel the appreciation of the people who possibly do not receive many guests in this remote location. A lot of families came and attended our mission trip and it felt so great to be able to reach out to these people. We also had something for the children. They were given candies and sweets. One of my students, Gerrard was just overwhelmed by everything he was seeing. Water is scarce here. For washing dishes, water from the rice paddies is used. After a great lunch, we rested for a while so everybody went for a nap and so did we! We decided to rest under the tree with banana leaves as our mattress. We found this beautiful lake close to the rice paddies. So I asked some students to come with me to further explore. Some students became even more adventurous, so I came down with them just to make sure that they were safe. didn’t want to get caught in the dark. Once again our landscape had transformed and now reminded me so much of an African Savannah. What made walking fun here was crossing the river streams. It was a hot day and my hydration was running out, so doing this was the best way to cool down. It was a nice day after all, and GOD blessed us with this amazing sunset. This was one of the best sunsets I had ever seen. This experience also gave me a chance to reflect about my personal life. People here in Botolan, Zambales and nearby areas live a very simple life and I really felt the contentment in them even without the lavish belongings we normally associate with living a contented life. A lot of people are so privileged to have everything they want in life, but here the people are not like that. They work hard because they want to put something on their table that everyone in the family will share. life-changing experience and I thank God for this opportunity and showing us the real essence of life! Time has come for us to say good bye to the people of Baquilian, Botolan in Zambales and also to the BCC(Baquilan Christian Church) headed by Pastor Nathaniel Ravelo who were our host during our stay there.